Super Mario Sunshine. Super Mario Sunshine on Nintendo GameCube, by Nintendo.. HD Wallpaper and background images in the Nintendo club tagged: nintendo. 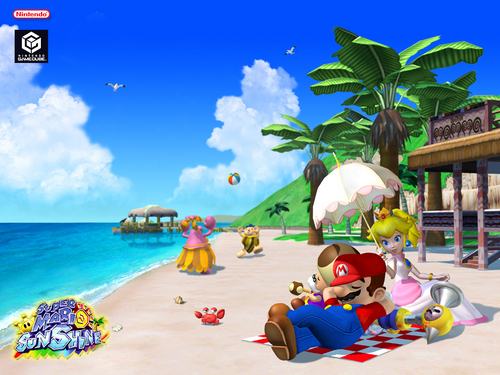 This Nintendo wallpaper contains beach and oceanfront. There might also be resort, resort hotel, holiday resort, seaside, seaboard, seashore, coast, seacoast, and sea coast.